The following post is guest article by Ruben Corbo, a writer for the website Broadband Expert where you can find internet service providers in your area with a great online speed test application and compare prices on different deals for your mobile broadband needs. So you're playing a game that relies on a good, stable internet connection and you find out that your link to the World Wide Web is slow and is affecting your game-play. You're not alone, and you can't ignore it. Internet speed is crucial for an online game and for MMORPGs where players interact within a virtual game world. 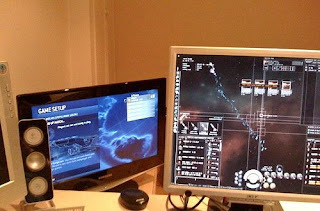 MMORPGs like Eve Online or World of Warcraft require an Internet connection with two characteristics: fast speeds and a quick ping. Is your internet connection good enough for gaming? You'll need to test it. Use a speed test to test your download and upload speeds, as well as your ping. Download and upload speeds measure how much data is transferred from your computer to the internet service provider (and thus the internet) and back per second. Ping is a measurement of how fast these data packets travel between you and the internet provider. These numbers will give you a good idea of if your internet connection can handle your game. Compare your download and upload speeds to those required or recommended by your game. 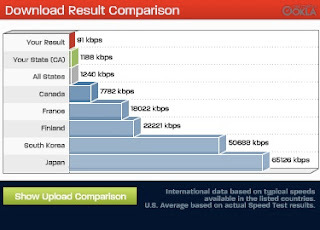 Speeds are usually measured in megabits per second (Mbps) or kilobits per second (Kbps). The more important number is the download speed. Upload speeds are only important if you are hosting an online game. Some people test their internet connection and completely ignore ping. That's a mistake. Ping, which is also called latency, is measured in milliseconds and a great ping is less than 30ms. That means it takes 0.03 seconds for data to travel from your computer to another computer or network. A fast ping will guarantee that your game actions are quick and responsive. A ping of 30ms to 60ms is good, but a ping of 90ms could be a serious detriment to your gaming experience. If you have a large ping, you may find that your game actions are slow and unresponsive. Don't just test your speeds and ping once. Test them multiple times, or even better, test them multiple times at different parts of the day for up to a week. This way, you can get a picture of the spikes in your speeds. Speeds can plummet during peak times when internet use is heavy, especially if your internet connection is shared. This way, you can find the times you get the best connection possible while avoiding peak use. Which internet providers and plans you pick can have a significant impact on your internet connection speeds and ping. Try to aim for a company that can provide you with broadband internet, like DSL, cable, or FiOS, and do your research over the internet plans they provide and their max speeds. However, if you live in a rural area, your options may be limited. - Are my current speeds and ping good enough for this game? - What internet provider do I have right now, and is there any chance I can upgrade my internet connection or improve it? I would call my internet service provider and ask about ways to improve my speed and ping. 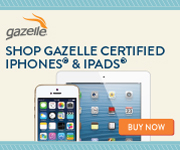 - Are there higher-tiered plans for slightly more per month? - What high speed internet providers in my area can provide me with a reliable, stable internet connection? What high speed internet providers in my area can provide me with an internet connection with a low ping? If I can change internet service providers, which one can give me the best connection and speed in a plan that suits my budget?